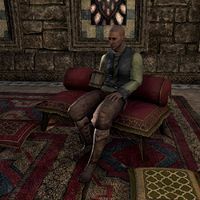 Asadel is a Redguard clothier who can be found in the Tailors and Dyers Hall of the Canton of St. Olms the Just in Vivec City. 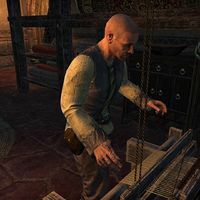 He works one of the looms together with Lingarmoril and Anodia Oclatinus and does not respond if you try to talk to him. This page was last modified on 8 July 2018, at 08:42.